The central quiet location of the apartment to the center, restaurants and shops provides you a car-free stay. Ski lift, cross country skiing, beach volleyball court, playground, cycle path and an Iceland-horse farm located in the immediate vicinity. Ski bus stop 50 meters from the house. The apartment has 4 separate bedrooms with flat screen TV, 2 bathrooms, 2 toilets, entrance hall, fully equipped kitchen, relax oasis with infrared cabin in the apartment, sun terrace, free Wi-Fi. Free Shakepot in the house. Free daily entrance to the Amade Water World. Absolutely stunning. Exactly as described and so beautifully decorated and furnished. Robert was a great host and made us feel very welcome. He had set out a welcome of some local food and schnapps and provided everything else we needed even down to dishwasher tablets! He has obviously put a great deal of work into making the property so comfortable. We tried several of the restaurants he suggested and had lovely meals in all of them. On our last day Robert gave us tickets for the Therme Spa which was definitely worth a visit on our last day to relax. Fantastic weather all week, great skiing, great food and a big thank you to Robert for his hospitality. In der wir uns sehr wohl gefühlt haben. 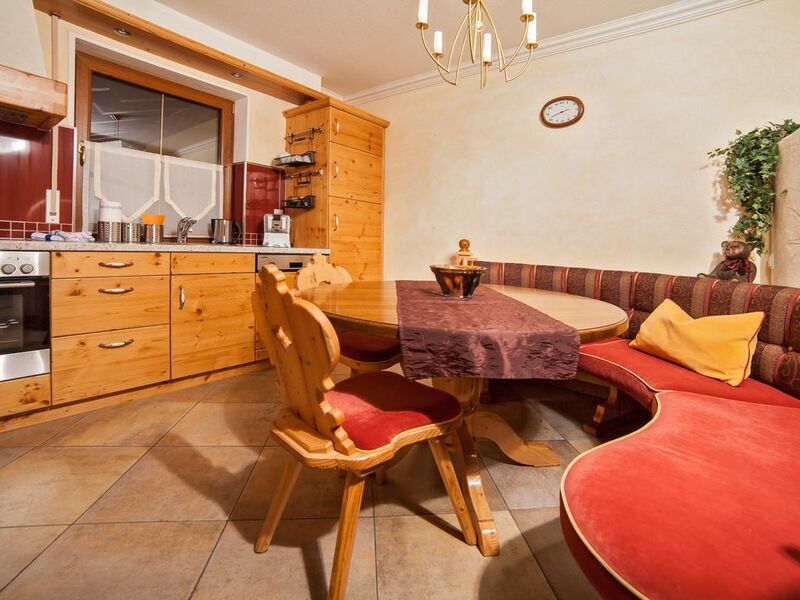 Eine wunderbare, sehr schöne, hochwertige Ferienwohnung! Komplette Küchenausstattung inkl. Kaffeevollautomat und Geschirrspüler vorhanden. Die Zimmer sind nicht besonders groß, jedoch zweckmäßig und absolut ausreichend. Auch gibt es eine eigene Infrarotkabine. Einzig eine Couch wäre noch toll gewesen. Eine Skigarage, genug Platz zum Parken sowie eine große sonnige Terrasse mit Blick ins Tal und in die Berge komplettieren das Angebot. Der Skibus hält fast direkt vor dem Haus und das Skigebiet von Kleinarl ist in wenigen Minuten zu erreichen. Winterwanderweg und Loipe führen direkt hinter dem Haus vorbei. Skilift, Supermarkt, Rodelbahn mit Rodelverleih alles in unmittelbarer Nähe. Der Vermieter ist zuvorkommend und unkompliziert. Wir haben hier ein paar wunderbare Tage verbracht und kommen gerne wieder! Nice decor, cosy, clean, will rebook if back in that area! We loved our stay in this apartment! We were 2 families each with 2 kids, and we were very pleased to learn that the apartment had 2 separate areas, each with 1 large and 1 smaller bedroom with double beds (one large and one smaller one), as well as separate bathrooms, meaning that our two families could have some privacy come bed and bath time. The kitchen was adequate and fully functional and, most importantly, had enough space that we could sit around the kitchen table all 8 of us and have dinner/breakfast. The host, Herr Löcker was kind and spoke English very well. The apartment comes with access to 3 lockers located in the basement of the ski rental store right at the Champion Shuttle only 2-3 minutes drive away from the apartment. Very nice that you don't have to carry your skis and boots back and forth each day but can simply leave them right at the ski lift area. It's possible to take the bus to the ski lift area too if you don't have a car. Wir waren mit 6 Erwachsenen und 2 Kindern in der Unterkunft und haben eine sehr saubere, schöne und gemütliche Ferienwohnung vorgefunden. Es fehlte an nichts, ganz im Gegenteil. Zur Begrüßung gab es einen kleinen Geschenke - Korb mit regionalen Spezialitäten (sehr lecker) . Alles war genau wie beschrieben. Die Nähe zur Skibushaltestelle, als auch zum Ortszentrum. Aufgrund des zum Haus gehörenden Skidepots war der Lift auch gut fußläufig zu erreichen. Wir haben uns dank des tollen Vermieters sehr willkommen und wohl gefühlt. Diese Ferienwohnung ist nur zu empfehlen und wir werden mit Sicherheit wieder dorthin fahren.